Dr. Nguyen has a BS in molecular and cell biology from the University of California, Berkeley. She received her medical degree from the University of New England College of Osteopathic Medicine in Biddeford, Maine. She completed her pediatric residency at St. Joseph’s Hospital and Medical Center in Phoenix, Arizona. Prior to joining Castro Valley Pediatrics Dr. Nguyen practiced in the Central Valley. She emphasizes preventive care with her patients and families, and believes that prevention starts from day one with breastfeeding and obtaining routine childhood immunizations. 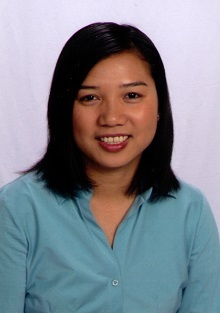 Dr. Nguyen lives with her husband and two young children. She enjoys hiking, traveling, cooking, and spending time with family.